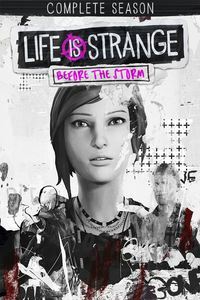 Mostly to its benefit, episode two of Life is Strange: Before the Storm matches the intensity of the wildfire that illuminates the sky of Arcadia Bay at the end of the first episode. Throughout its five hour run, the fire of this episode never sizzles out; almost every moment contains passion, anger, excitement, and fear. But while Chloe feels like her life is going up in flames around her, it’s the fire in the friendship between her and Rachel that burns the brightest and is the most beautiful thing to watch develop. Due to this season being only three episodes, the time constraint makes the sparks between them feel a bit too rapidly developed while other story threads seem to be developed a bit too thinly. However, Before the Storm ultimately keeps proving itself to be just as good as the original season and, in many ways, perhaps even better. 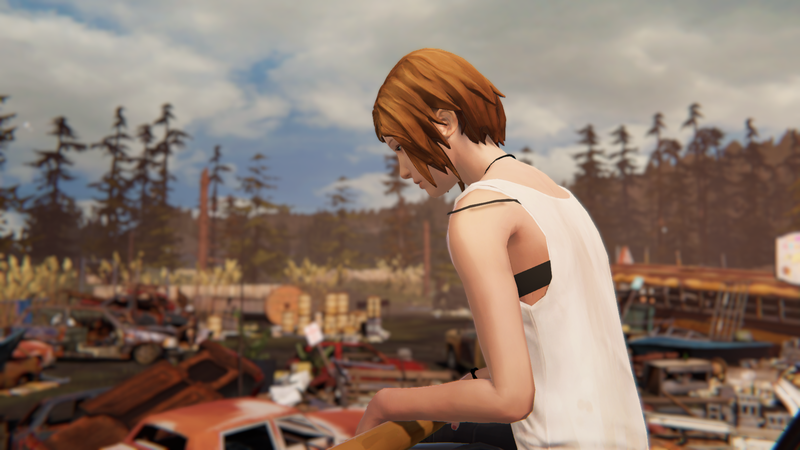 Episode two, titled “Brave New World,” focuses on the events following those of “Awake.” At the end of the first episode, Rachel Amber sets off a wildfire that looms over Arcadia Bay. While there’s text messages, announcements, and news coverage of the wildfire, the game otherwise barely touches on what happened during the finale of episode one and its possible implications for Rachel. A scene now in episode two seems to hint at something similar, but it’s hard to imagine how that plot thread could be properly wrapped up with only one more episode to go, so I wonder why the suggestions are there at all. I worry as to whether this season will suffer from one of the main issues I had with the original game, which was that the supernatural elements felt unimportant and unnecessary. Instead of giving some focus to that, this episode focuses on what Life is Strange has always done best: the conflicts and emotions between everyday people living out their lives. In the process of crafting such a realistic and relatable experience, the game explores empathy and often tests your own. Will you empathize with Chloe and let her express her pain—even if it is through anger, drawing graffiti everywhere, and flipping the finger, or will you empathize with David, who’s trying to fit into a new family in the only ways he knows how to? Will you steal because it’ll help Chloe get out of serious trouble and have a shot at getting away from her miserable life, or will you empathize with the person you’re supposed to steal from because they’re just doing their best with a difficult enough situation? The choices in this episode are some of the most difficult in the series because the writing makes it so easy to understand Chloe’s pain, but understanding her pain also gives way to an understanding of those who are also flawed and make mistakes but are just as deserving of kindness. One of the core themes of Life is Strange’s identity is the in-depth exploration of relationships between women, and this episode is likely the most brilliant episode in the series in terms of that theme’s exploration. Despite choosing to just be friends with Rachel, I’m happy to just have the opportunity to form a complex relationship between two teenage girls who may have feelings for each other. While we are starting to see more of it, witnessing a relationship between women that is difficult to define in black and white terms is still relatively rare in video games. Whether you develop their relationship as friends or as something more, the game normalizes and celebrates both strong female friendship and queerness in a way that feels so validating. 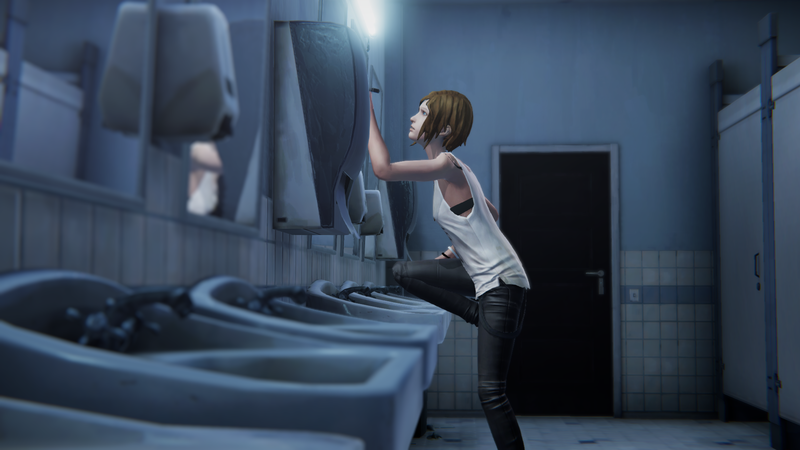 To beat around the bush about the queerness that exists in Life is Strange’s universe would serve it no purpose. At times, I feel like the writing of the original game could’ve been stronger if it hadn’t been so hesitant in exploring the clear subtext (at times just straight up text) between Max and Chloe; it’s refreshing and gratifying to see that not be an issue here. My one issue is that while seeing Chloe and Rachel’s relationship unfold is the most interesting part of Before the Storm, the relationship does feel like it progresses a bit too rapidly. Realistically, the timeline is too short for them to be so close so fast. I do wish there was either another episode or two in order for the pacing to be better, or that the writing could’ve supported a passage of time. Their relationship itself is believable, but the speed with which it has developed feels a bit rushed despite all the substance given to their bond. In terms of gameplay, "Backtalk" makes a return and, much to my satisfaction, feels like it is used in more plot-crucial moments than in the last episode. The opportunities in which you can use it happen less often, which only contributes to making the ones you do have feel even more important. The animation in this episode is also improved and the graphics allow for some gorgeous colors to often grace your screen. Lastly, to no one's surprise, the episode has excellent sound. The entire cast seems to have fully warmed up to their roles because all the performances are consistently great. Rachel's voice actress is a stand out; she is what makes Rachel feel so charming, and her performance during the last scene of the episode is strong enough to have made me tear up. Joyce's voice actress also does a fantastic job at capturing Joyce's pain as a mother trying to create peace between the two people she loves most. The soundtrack for this episode, as has been the case with every episode in this series, beautifully accentuates the atmosphere and emotions of every scene. 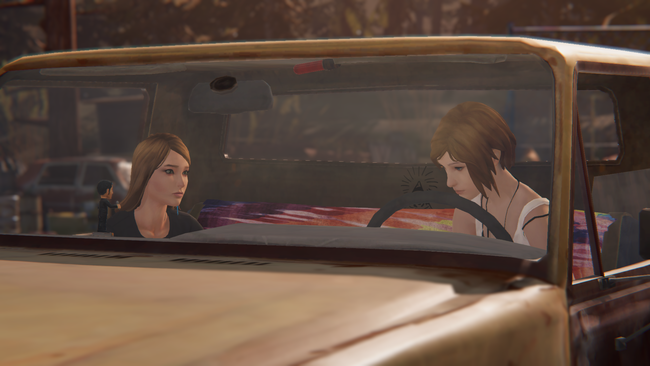 It’s hard to imagine how some major things—the wildfire, the problems occurring under the Amber household, Rachel and Chloe’s reckless plans to leave Arcadia Bay—will be handled in the final episode. I had a similar feeling of uncertainty and nervousness while waiting for the finale of the original season. While the original Life is Strange is one of my favorite games, I still have a bitter taste in my mouth from the disappointing ending. Here’s hoping that Before the Storm nails its final episode as well as it has done with every episode thus far. Episode two has few flaws, for everything that I love from the previous episode is just as great here. With its fleshed out characters, generally stellar writing, and an amazing soundtrack, I believe that Before the Storm has what it takes to burn brightly until the very end rather than to fizzle out.